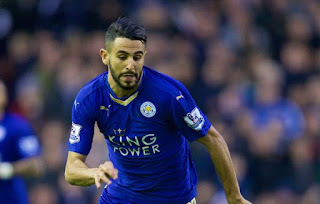 The 2016 title-winner wants to leave Leicester, Liverpool have been linked before; now might be the right time to make the move for Riyad Mahrez. Riyad Mahrez was, for a period, the most exciting player in the Premier League. His team were flying unexpectedly high, the tactics suited his style and teams still weren’t quite adjusted to what he brought to the game: that jinking athleticism, searing pace and rip-roaring shot off the left foot. He, N’golo Kante and Jamie Vardy were the highlights of the Leicester team which—still unbelievably—smashed their way to the title in 2015/16, and rumours were rife that one or all would depart immediately, on a blaze of glory and with their stock never higher. Only Kante left (and duly won another league title), and while Mahrez and Vardy were part of the Foxes side which disappointed so much in the first half of 16/17, he also performed at a much higher level later in the campaign—albeit nowhere near his 15/16 form. Questions of consistency, and perhaps application, might rightly be asked—but on quality and skill set which Mahrez might bring to Liverpool, is there even a debate to be had if the price is right? 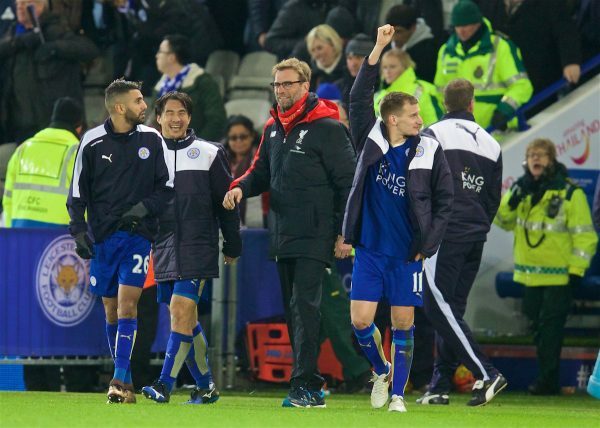 Consider: Several of Liverpool’s big problems last year came in the absence of Sadio Mane. There was no ready-made alternative, no direct runner at defences, nobody who could dribble at pace and shoot in off the flank, other than Philippe Coutinho, who himself suffered the odd injury absence. That’s Mahrez in a nutshell: pace, power, direct play. In a season where Liverpool can expect to play 45 to 55 games, they’re going to need alternatives and improvements, and Mahrez can be a direct switch for Mane when required—and fit into the same team, too. While predominantly a right-sided winger for Leicester, Mahrez has played centrally to good effect, either as a second striker or simple counter-attacking outlet to run both channels as needed. In the Reds’ end-of-season formation, he could certainly be well-utilised as a wide-running member of the front two. Additionally, it should be noted that while Leicester flopped dramatically in the Premier League in late 2016, their Champions League surge was built around Mahrez being a star on the Continental stage. He scored four and assisted once in the group stage, something both Liverpool fans and coaching staff would surely appreciate coming from a non-striker next term, if the qualifying stage is safely navigated. The experience Mahrez gained in Europe, the personal assurance he’ll have received from knowing he can impact at that level, would be invaluable. Coutinho’s total career game time in the Champions League is 600 minutes. Roberto Firmino has never played, Mane has never reached the group stage proper. Daniel Sturridge has played just over 1,000 minutes, but the majority of that came in 11/12 and his only two goals in the competition came a year earlier. It’ll be exciting being back among Europe’s elite, and there shouldn’t be any doubt that most Reds’ players can handle the occasion, but it would also be nice—and intelligent—to ensure there’s already an element of guaranteed performance at that level within the squad. Mahrez’s star hasn’t dropped completely, he’ll still cost a fair amount—but surely not close to the £41 million he was rumoured to cost one year ago. The Reds need sensible outlays, but they need to strengthen genuine first-XI options as well, ensuring there are multiple players around the same level for different positions. Mahrez is seemingly available, is an incredible, unstoppable force when at the top of his game, and might just help the Reds take a big step forward in ensuring more consistency in performances—even when other key starters are missing.